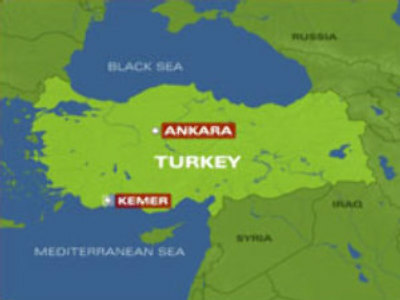 Seven Russian tourists have been injured in a road accident in Turkey. The holidaymakers were on an excursion when their coach left the road and crashed into a rock. The two families, one from Moscow and the other from the central Russian city of Ivanovo, were on the final day of their New Year holiday in the resort town of Kemer. According to a witness it was raining heavily when the accident occurred and the road was slippery. The Russian consulate in Antalya says those taken to hospital are out of danger and will be able to fly back to Russia on Thursday as planned.